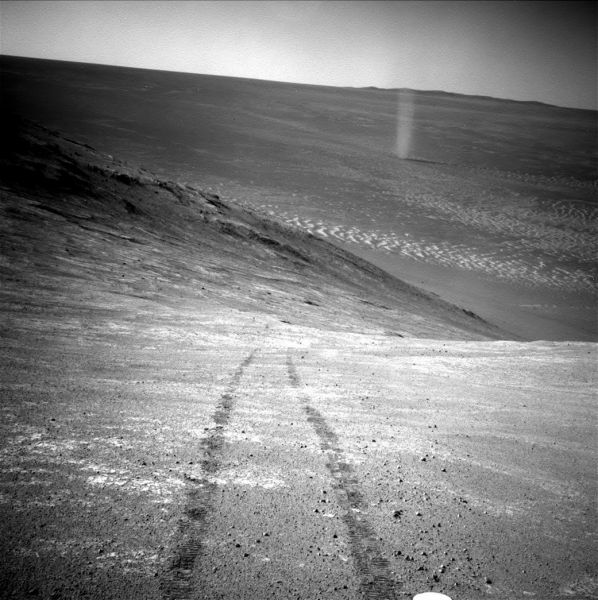 Uploader comment: From its perch high on a ridge, NASA's Mars Exploration Rover Opportunity recorded this image of a Martian dust devil twisting through the valley below. The view looks back at the rover's tracks leading up the north-facing slope of "Knudsen Ridge," which forms part of the southern edge of "Marathon Valley. ".